BLUE WEAVER www.blueweaver.com has played on and contributed to the sound and the shape of an enviable array of gold- and platinum-selling records, heard by tens of millions of listeners in the United States alone, in between playing a key role in the development of English folk-rock as a member of the Strawbs and Welsh pop with Soul/Pop band Amen Corner not to mention rock with Mott the Hoople, pop and disco with the Bee Gees and Brit pop with Pet Shop Boys. was so good he didn’t want to upstage anyone. 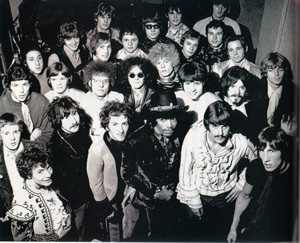 A short while after this he became a member of Brother John & the Witnesses, whose lineup included drummer Dennis Bryon. He and Bryon later worked together again in Amen Corner — a Cardiff septet complete with saxes, fronted by a then-16-year-old Andy Fairweather-Low — which was signed to English Decca’s progressive/psychedelic pop imprint Deram Records in 1966 and enjoyed a four-year string of hits. 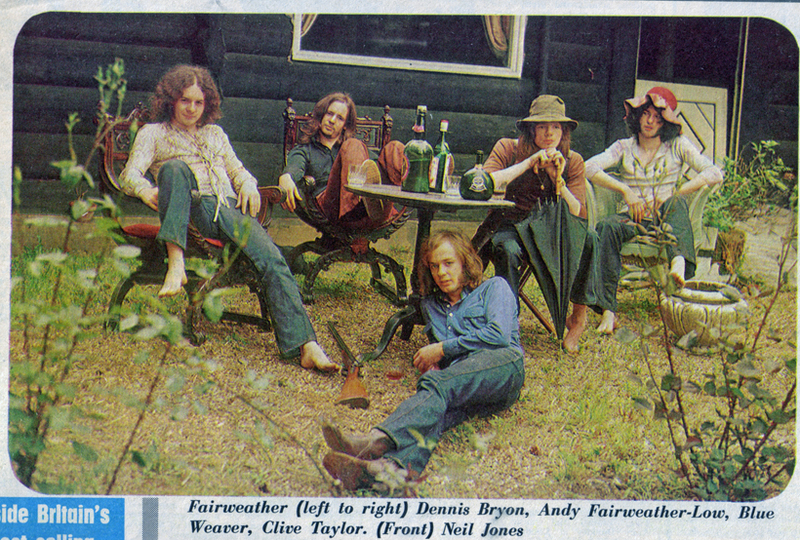 Fairweather split up soon after that success, however, and it was at that point that Weaver auditioned for the Strawbs (the audition sort of went like – Fancy a curry and a pint? ok you’re in) who were in need of a new keyboard player following Rick Wakeman’s decision to leave their lineup in favor of joining Yes. Joining the Strawbs just before the recording of the Grave New World album, Weaver’s organ and Mellotron added a stately, majestic quality to the band’s sound and was more closely integrated with rest of the group’s playing than Wakeman’s flashier contributions to their earlier work had been. He played a role as a composer (in collaboration with group founder Dave Cousins) as well on Bursting at the Seams, their next album, which not only contained two British hit singles but was the first of the group’s albums to get serious airplay in America, mostly on FM progressive rock stations. 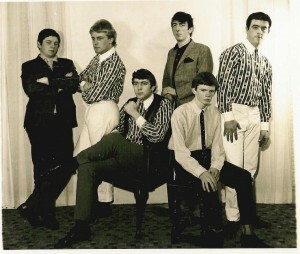 Weaver’s contribution to the group’s sound during this period has been preserved in a pair of professionally recorded concerts that were broadcast on radio and have since been bootlegged. This lineup of the Strawbs split into two factions in 1973, one behind Richard Hudson and John Ford and the other behind founder Dave Cousins; Weaver was allied with neither side wishing that Strawbs would go back to a more folk style, and was suddenly left without a group. He went back to being session musician( and a stint of minicab driving to keep a little money coming in), which led to his joining Mott the Hoople long enough to appear on their 1974 U.S. tour of the US (during which Queen was the opening act) and resulting live album. He had also periodically played sessions with his former Amen Corner bandmate Dennis Byron, who by 1974 was eager to bring Weaver aboard with the group that he was now working with — the Bee Gees. Also at this time Ian Hunter asked if he would join the “Hunter Ronson” band but he had already committed to an album with the Bee Gees, however he did get to do one tour after the “Main Course” album was completed with Ian and Mick which he says was a fantastic experience. In 1975, he began what became a seven-year association with the Bee Gees and now alongside drummer Dennis Bryononce again and guitarist Alan Kendall. That group had been reshaping their sound in a new, more soulful direction, and had done one album reflecting their new approach, Mr. Natural. They found that not only did his approach to music suit what they had in mind, but that also they got along well personally. 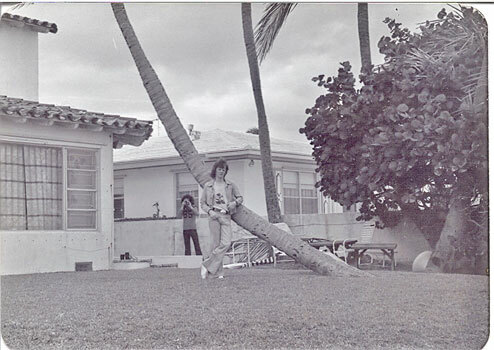 He was aboard for the recording of Main Course, taking over the keyboard spot that had previously been filled by Maurice Gibb. He not only contributed mightily to the sound of most of the album, especially in his exploration of the range and texture of synthesizer sounds (then new to the group’s work) in fresh and lively ways, on songs such as “Jive Talkin'” and “Nights on Broadway,” but also adding a heavier rhythmic texture by introducing a synthesized bass sound augmenting Maurice Gibb’s conventional guitar-style bass. Weaver also became the first non-Gibb brother to share a composition credit with the three singer/songwriter brothers, on “Songbird.” In the years to come, Weaver became an integral element of the group’s music and its shape, structure, and texture, particularly on the Saturday Night Fever soundtrack. He played on an enviable run of six consecutive number one hits (and at one time was playing on 8 tracks in the US Top 10 probably the only keyboard player to achieve this fact) with the group before they exhausted their string of successes in the early ’80s amid the backlash against disco music. 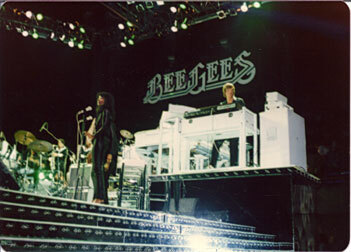 In 1983, a year after leaving the Bee Gees, Weaver rejoined the newly re-formed Strawbs, but by that time he was so busy with session work especially as he had been programming Fairlights since their conception and was very much in demand for sessions by other top artists, that it became difficult for him to fulfill touring commitments with the band, especially later in the decade when they became a fully active performing outfit. Weaver was replaced by Chris Parren at the end of the 1980s, although he was back with the group for their 1993 tour and more in early 2000. Weaver has played/programmed on records by such diverse artists as Stevie Wonder, the Pet Shop Boys, the Damned, Chicago, Lou Reed, T.Rex, Stephen Stills and Swing Out Sister as well as on numerous film soundtracks and commercials, and in the early ’80s owned and operated a successful independent studio in London. 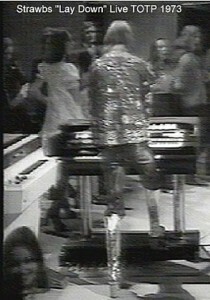 Despite Weaver’s notable success with synthesizers from the early-’70s onward, and his use of digital technology in his own studio, he also retains a special appreciation of the Mellotron, an early-’60s electronic instrument that would seem to be hopelessly out-of-date (but isn’t), which has also resulted in his contributing to such albums as Rime of the Ancient Sampler, which showcase the instrument. Blue now lives permanently in Germany and for the past six years from January until May Blue has been touring Europe with a Musical review of the Bee Gees life and songs called ‘Massachusetts’ fronted by the Egiziano brothers with their great Italian band and ladies. Each year it gains in popularity and for the past year the show was joined by Vince Melouney and Dennis Bryon so it now consists of three original members. Wie gehts? Love your piano/keyboards/organ/etc.. on the Bee Gees songs! I saw you with the brothers at Wolf Trap in 1975 with only about 12 or so people. I felt bad for you guys but knew that the band sounded great and not soon after then, it was crazy. The next time I saw you was at Madison Square Garden, sold out, with everybody singing. What a change!!! Anyway, you are remembered and appreciated. Thanks!